The Limbu(exonym) or Yakthung(endonym) tribes and clans are a Kirati people of Tibetan origin indigenous to the hill and mountainous regions of East Nepal between the Arun and Mechi rivers to as far as South Tibet, Burma, Bhutan and Indian states of West Bengal (particularly Darjeeling, Kalimpong and Jalpaiguri districts), Sikkim, Assam and Nagaland. The name Limbu is an exonym of an uncertain origin. They call themselves Yakthumba or Yakthungba. In Standard Tibetan, they are referred to as "Sikkimese people" (Tibetan: འབྲས་ལྗོངས་པ, Wylie: 'bras ljongs pa) and in Sikkimese as Shong or Tsong "Tsang people". 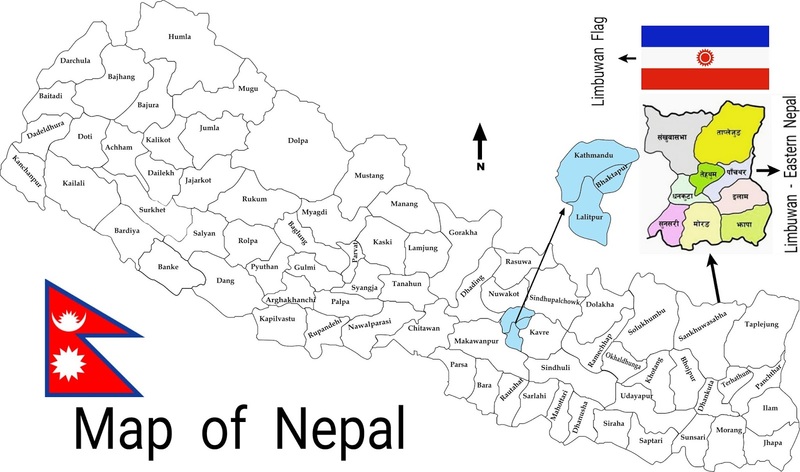 Their estimated population of 700,000 is mainly centered in the districts of Sankhuwasabha, Tehrathum, Dhankuta, Taplejung, Morang, Sunsari, Jhapa, Panchthar, Ilam District, Kathmandu District, Lalitpur District, Bhaktapur District in Nepal. 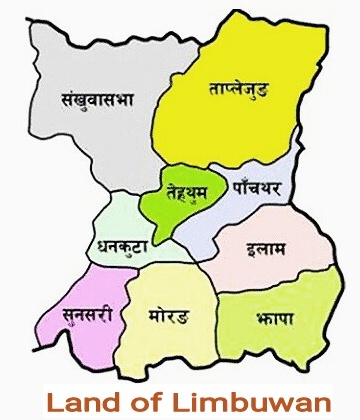 These are all within the Mechi and Kosi Zones or "Limbuwan". Portions of the Limbu population are also located in the east and west districts of Sikkim. A smaller number are scattered throughout the cities of Darjeeling and Kalimpong in West Bengal, Assam, Nagaland and in north and south Sikkim, Bhutan, Burma and recently migrated to the United Kingdom, Hong Kong, the United States and many other countries. Limbu clans and tribes are divided into two gotras indicating their origin: Yunnan and Lhasa. The Limbu are known as Yakthung Thibong or "Ten Limbu", from which thirteen Limbu subgroups have emerged. According to legend, five of the groups came from Yunnan and the other eight from Lhasa. The Chinese text Po-ou-Yeo-Jing translated in 308 AD refers to the Yi-ti-Sai (barbarians bordering on the north), a name which is an exact equivalent of Kiratas.